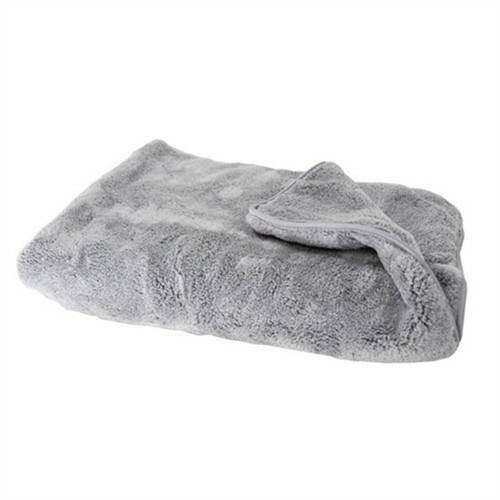 The Woolly Mammoth is an extra plush, one inch thick large microfiber drying towel. The large size of the Woolly Mammoth makes it great for drying large size vehicles faster than ever. The Woolly Mammoth is lint-free, scratch-free and features silk-banded edges. 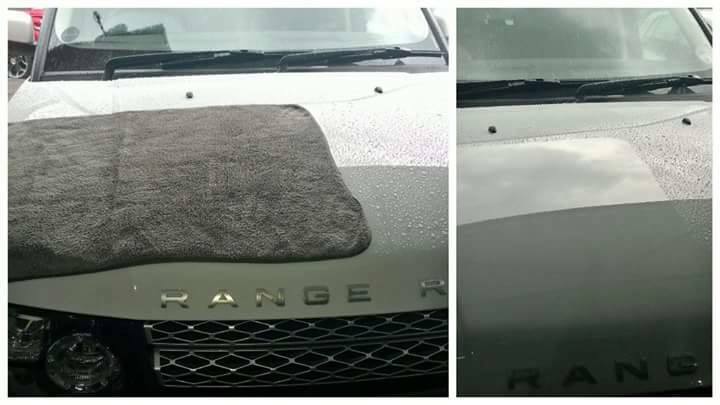 This towel will buff away waxes, wipe glass clean without streaks, safely apply quick detailers and remove your favorite products scratch-free. Microfiber weight is calculated as grams per square inch (g/m2). Thickness of a microfiber towel is based on the thickness of the fiber, length of the loop, amount of fibers per square inch and most importantly weight. The Woolly Mammoth is an incredible 880 g/m2 in weight, which is four times thicker than the industry leading microfiber towel. The Woolly Mammoth is thicker and softer than even the nicest bath towel.